An international research workshop organized by Boaz Huss and Julie Chajes. The Theosophical Society, which was founded in New York in 1875 by Henry Steel Olcott and Helena Petrovna Blavatsky, became a highly influential esoteric movement. The original Theosophical Society, whose headquarters were established in Adyar, Madras in 1879, underwent various splits and schisms. These include the Theosophical Society, Pasadena, Anthroposophy, the Arcane School of Alice Bailey as well as many other groups. The Theosophical Society has had a wide cultural and political impact, especially in India and Sri Lanka between the late nineteenth and early twentieth centuries, becoming one of the most important intellectual roots of the New Age and contemporary alternative spiritualities. Blavatsky, the main theorist of the Society, and some of her successors claimed to be in touch with mysterious masters who were the true source of Theosophical teachings. Drawing, amongst other things, on Spiritualism, contemporary science, Indian religions and various esoteric currents, including Kabbalah, the Theosophists taught that there was one ancient and universal wisdom religion, fragments of which could be discerned in worldwide religion and mythology despite their degradation. Theosophy was largely responsible for the popularisation of eastern spirituality more generally, especially Advaita Vedanta and the concepts of reincarnation, karma and chakras, which are popular today. Theosophy, in its various forms, reflect cultural, intellectual and historical changes from the late nineteenth century to the present day. It is therefore of interest to those who wish to study changing conceptions of religion, spirituality, science and their relation, notions of ‘east’ and ‘west’, issues surrounding colonialism, and orientalism, sexuality, the body, gender and the self. 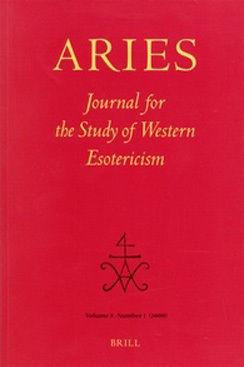 As perhaps the most influential esoteric movement of modern times, it is important to an understanding of the development and adaptation of esoteric currents in the modern world. "Theosophical Appropriations: Kabbalah, Western Esotericism and the Transformation of Traditions" is a research workshop funded by the Israel Science Foundation in cooperation with the Goldstein-Goren International Center for Jewish Thought. The workshop is associated with the Israeli Science Foundation Research Project Kabbalah and the Theosophical Society (1875-1936). It seeks to explore the diverse and complex ways in which the Theosophical Society and related currents confronted, adapted and transformed various religious and cultural traditions. The workshop will provide a platform for high-profile international speakers and experts in Theosophy and related movements. They will address a wide range of issues, groups and individuals associated with and derived from Theosophy in a number of different countries at during different periods. 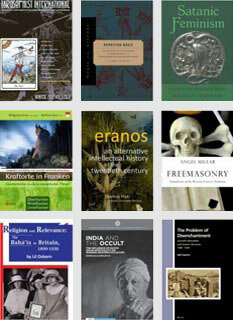 Issues to be considered include the transformation of Kabbalistic doctrines in Theosophy, the nature of Theosophical doctrines, their appeal and historical and cultural contingency, the relationships and possible tensions between different elements within them and the relation between Theosophy and Jewish, Hindu and Buddhist thought.